I know I'm not alone in having to take the winter off from riding due to the polar vortex and unending snow and ice. 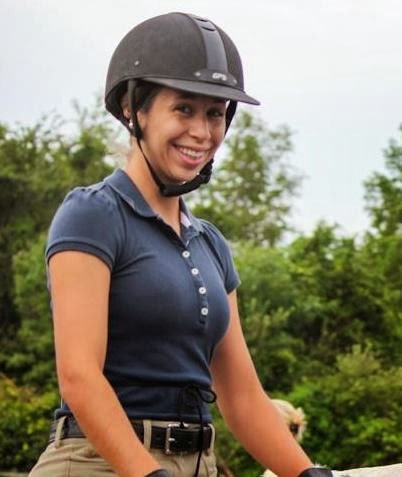 So what is the average equestrian woman to do when she can't spend time honing her skills? Shop for horse stuff. Of course. So far this winter I've limited the damage to a new jelly scrubber, shed flower, polo wraps, hairnets, and Ariat Olympia breeches (40% off, and they're my favorite, couldn't resist!). Most of that stuff was bought with gift money or gift cards, so I didn't blow the budget on it, which is a good thing. I've also been trolling English Tack Trader, Smartpak, and Dover on just about a daily basis to see what deals there are, and have been oohing and ahhing over everything in the massive ten-pound Dover catalog that came the other day. One purchase that I haven't made yet, though, is that of a new helmet. My trusty GPA Titium is about 6 years old now, and should have been retired after I clonked my head over the summer, but I haven't been able to afford it yet. Helmets "expire" after about five years of use since the foam that saves your brain degrades and compresses over time, making the helmet less effective at protecting your skull. Helmets should also be replaced any time you hit your head while wearing one, because the inner workings of the helmet are damaged on impact, saving your head from taking the damage instead. Unfortunately, the original plight of purchasing this helmet began with me not wanting to spend $400, trying on every helmet in the world, and then spending $400 on the GPA. It was the only thing that properly fit my tiny, very round head while not making me look like a space mushroom at the same time. I love, love, love my Titium. ALSO UNFORTUNATELY, within the past few years GPA has redesigned my beloved Titium, and now it only comes in the "Pro" version which is Not Quite The Same as my favorite helmet. The fit is just sliiiiightly different, and it doesn't have the pillow-on-my-head feeling of my old-style hat. So just getting a new Titium in the same size isn't going to do the trick. Also, I'm kind of broke. But, I've got a commission coming to me in the next week or so, and I've earmarked a portion of it for a new helmet! Hooray! From what I've read, it's supposed to be the roundest-fitting of the "new" GPA helmets, and I love the look of it. It's a bit of an update from the Titium with a matte finish instead of a fabric covering, and a modern-looking metal mesh ventilation strip. Of course, there are no local retailers that carry it. Naturally. I reached out to the super-helpful folks at Farmhouse Tack, and they tracked down two New Extreme helmets in my size! Now I just have to wait until my commission check goes through, hopefully in time to order the helmet of my desires before someone else snatches it up. 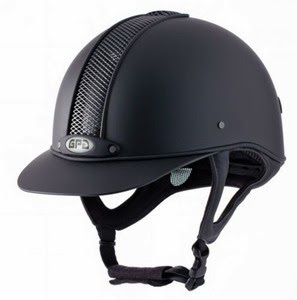 Personally, I like the aesthetics of the GPA a lot better than the AYR8, but if I can't find the helmet I want in my size, I've got to go for something that's available and fits my head. A positive about the AYR8 is that literally every tack shop near me carries it, so I can try it on in person, which is huge. If that fails, I'll be going on another epic day-long helmet shopping spree. Oo haven't seen that new GPA, looks nice! OOOh, fancy GPA! I hope you get it so you can write a review for me!! I used to have a GPA and like my CO AYR8 so much more. Try some helmets on. You might be surprised :) the GPA does look Sharp though! I love my AYR8. Great helmet, but yes whatever fits the best~! 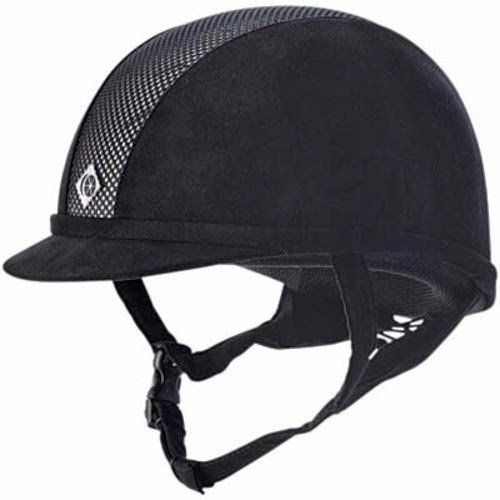 I work at a tack shop and fit LOTS of heads, plus have been trained by both CO/GPA reps, actually the AYR8 is a more oval of the CO helmets. For round shape I would look at the Wellington Pro or possibly the new V8 helmets (though I have not seen any in person) best of luck in the hunt, its tricky! After I wrote this another friend of mine who used to work at Dover also told me the AYR8 is more oval - dang! Helmet hunting is so hard!